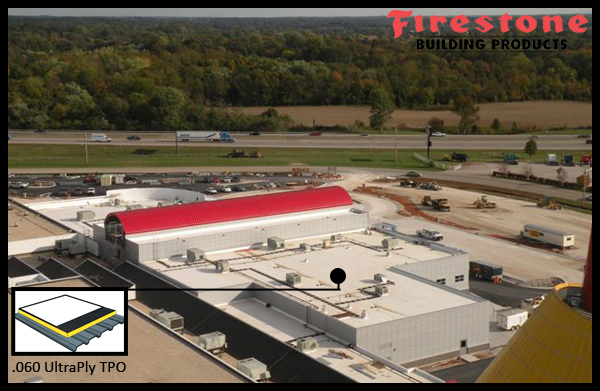 World of Golf is located in Florence, KY, approximately five to ten minutes south of Cincinnati, OH, and is visible from the I-75 express way. 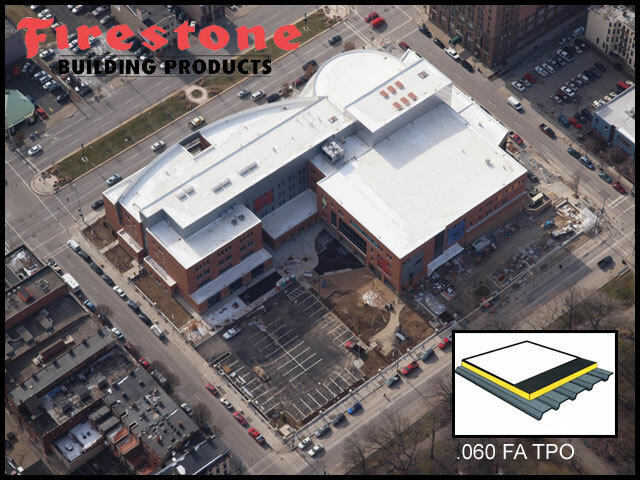 This project showcases many different building products from Firestone Building Products. 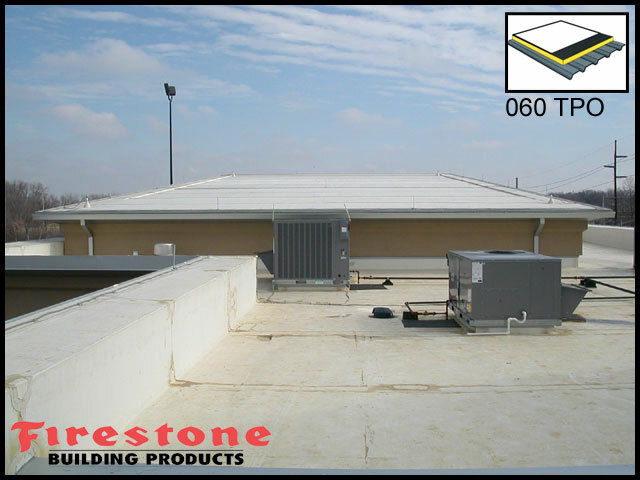 The low slope membrane roofing system showcases 060 fully adhered TPO. 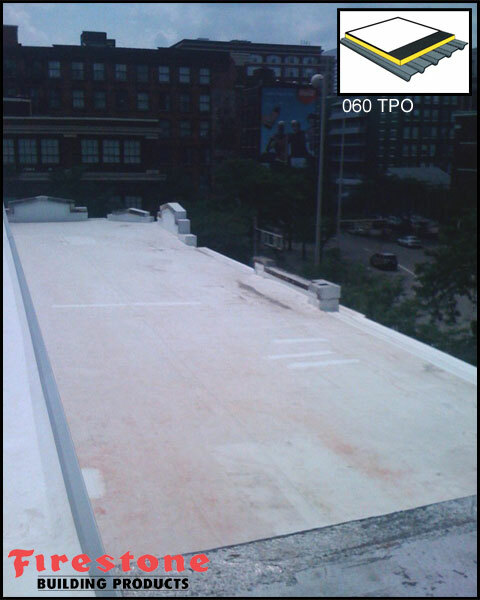 Two layers of 1.5" polyisocyanurate insulation on structurally sloped roof decks, and a 1.5" polyisocyanurate base with a full tapred system starting at 1.5" where the roof areas are stucturally flat. 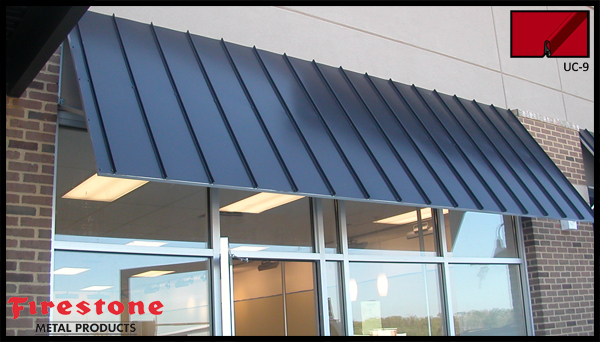 The metal products include the silver metallic and dark ivy UC-601 corrugated metal wall panels, silver metallic UC-500 soffit panels, silver metallic UC-6RS metal roofing system, contractor fabricated silver metallic metal edge and coping systems, and even silver metallic 040 aluminum shop fabricated window mulleins for the window system. 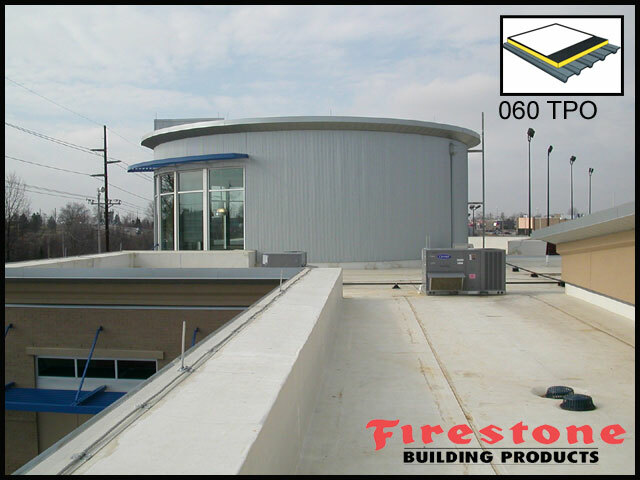 The owner was able to obtain a 20 year "no monetary limit" warranty for both the metal roofing and low slope membrane roofing system since it was all provided by Firestone Building Products and installed by a certified Red Shield Contractor. 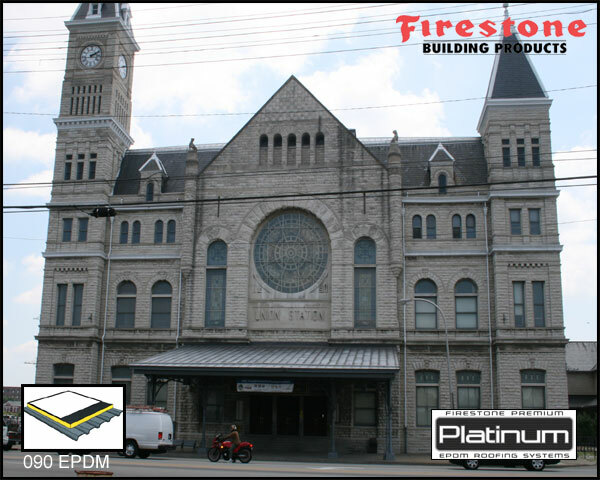 This building owner, The City of Florence, basically obtained a total building envelope warranty with exception to the windows a masonry walls. 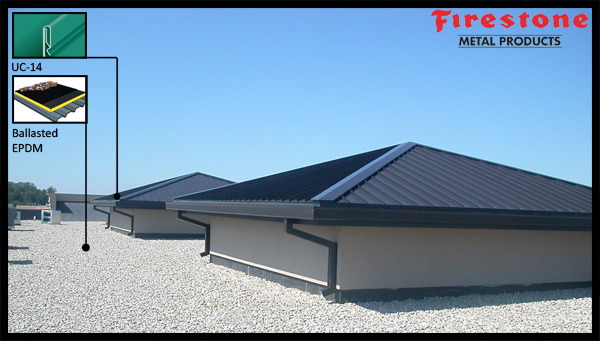 You can also view the metal roofing and wall panel systems by clicking your way over to the metal portfolio section of this website. 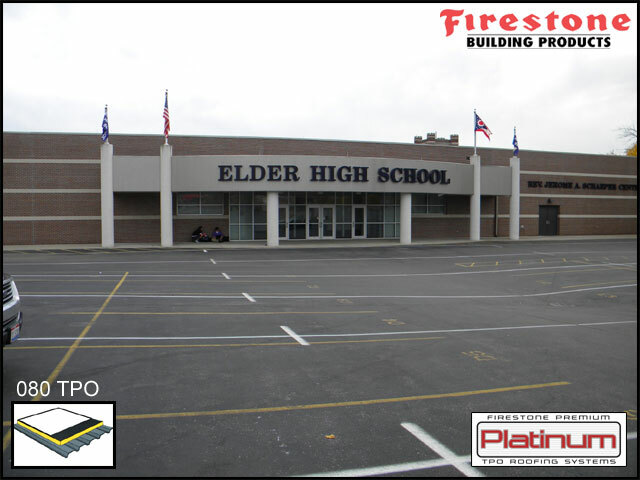 Elder High School Schriver Center - fully adhered .080 White TPO roofing system with 30 year Enviro-Ready warranty (suitable for future Photo-Voltaic (solar panel) installation). 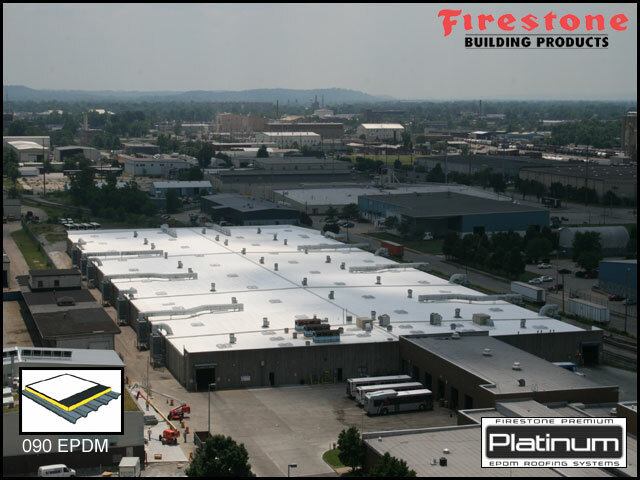 .090 Platinum EPDM Fully Adhered (Acrylic Coating) over two layers of 2" ISO and 1/4" Dens Deck Primed. 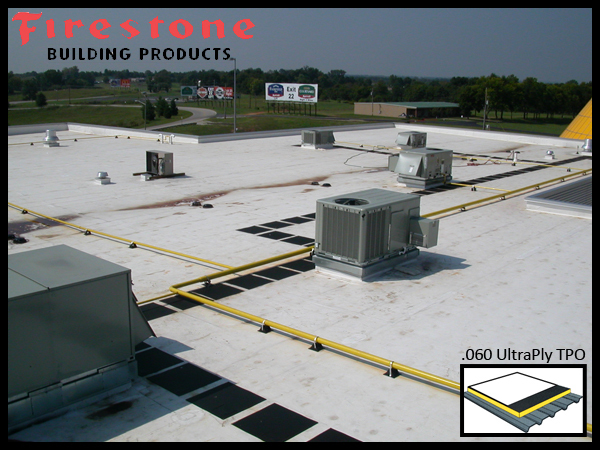 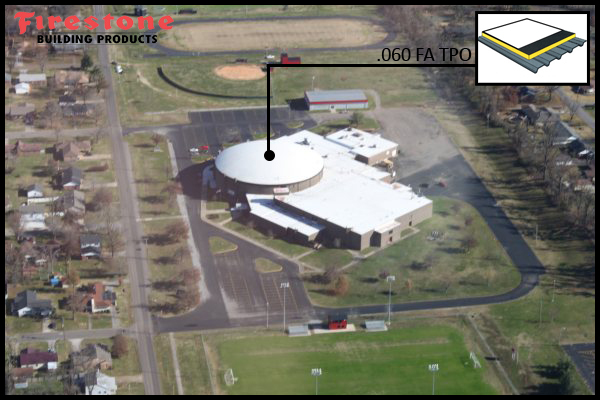 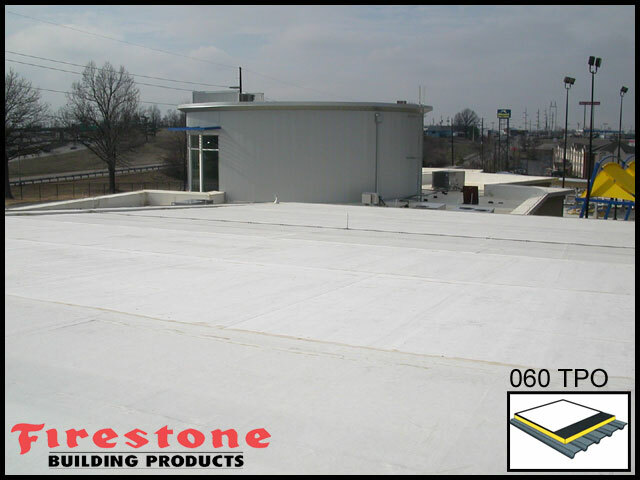 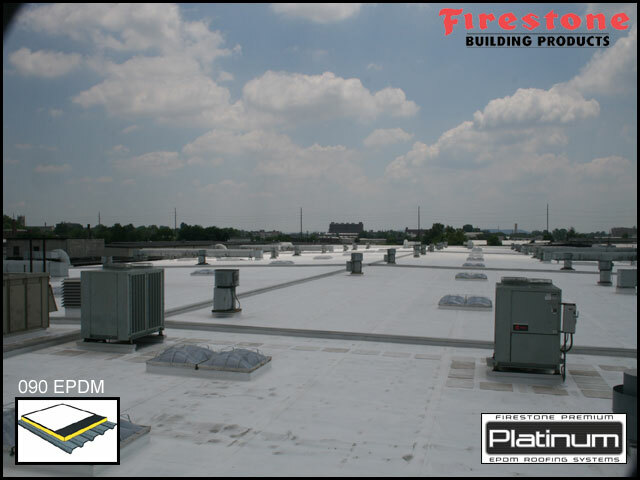 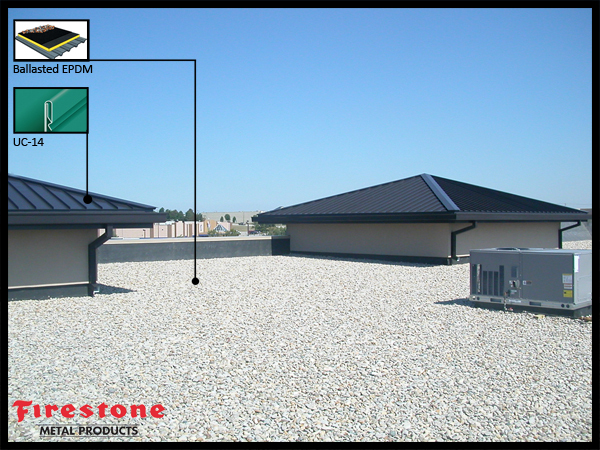 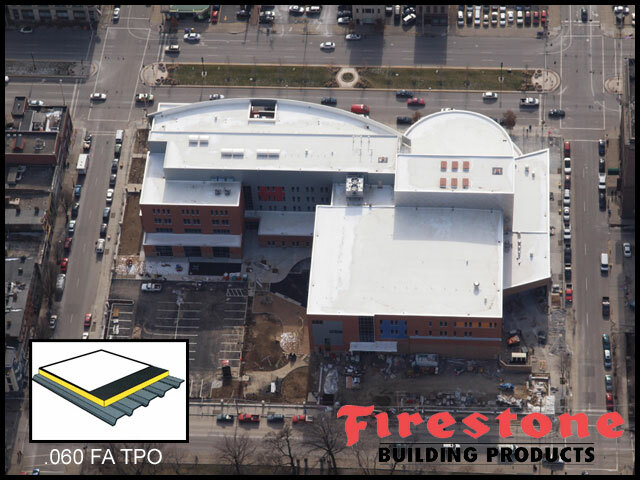 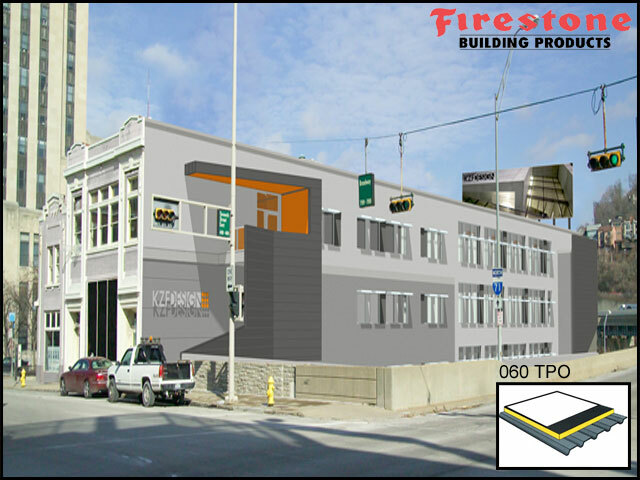 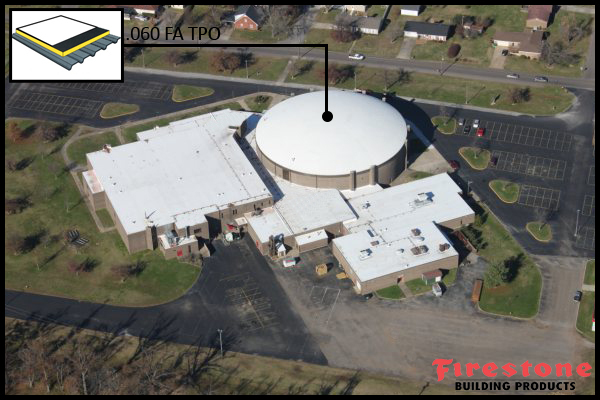 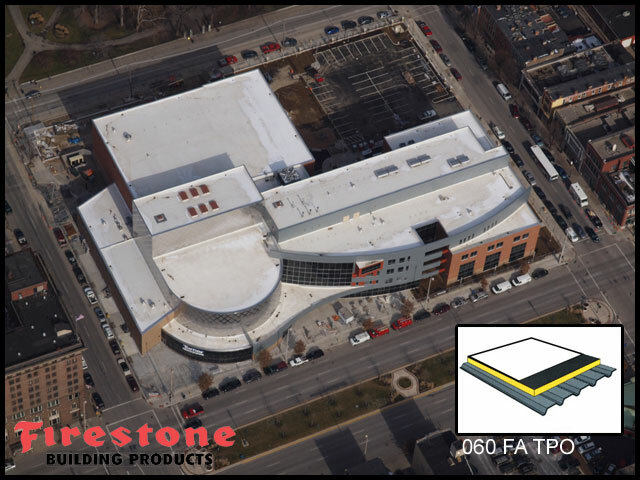 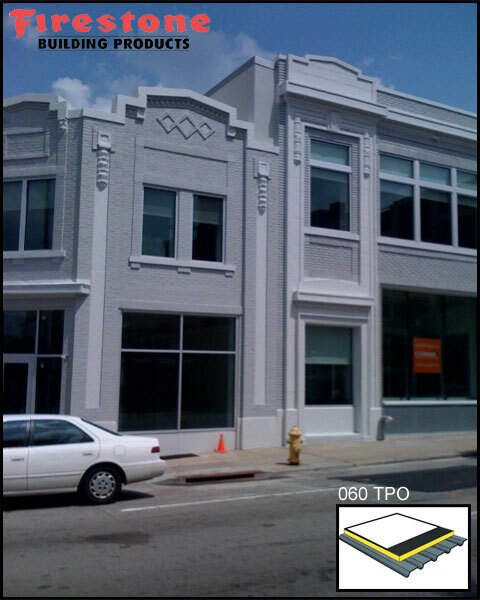 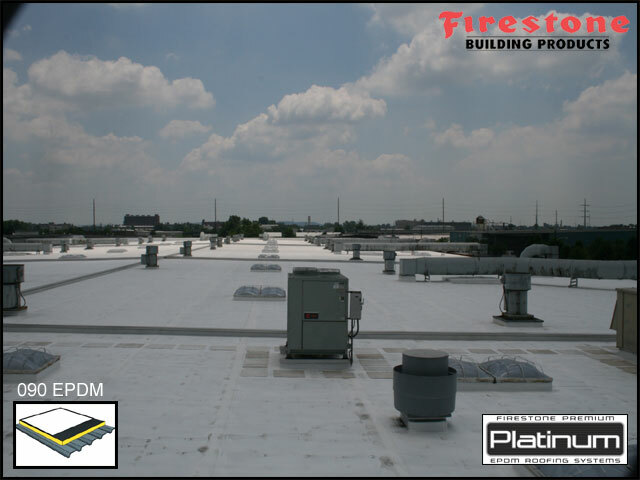 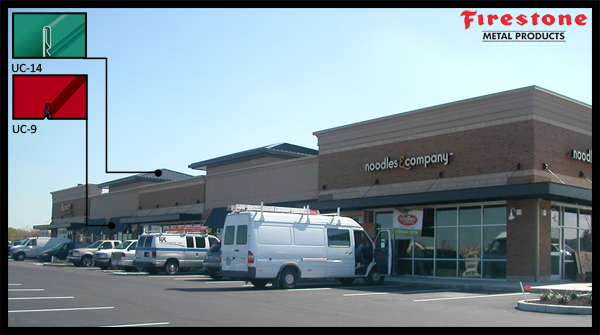 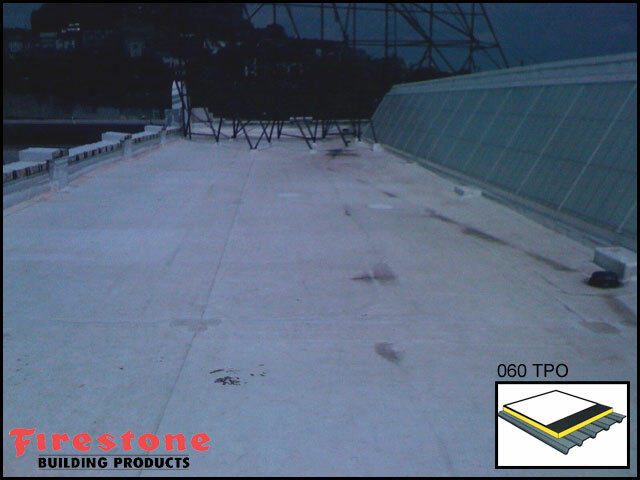 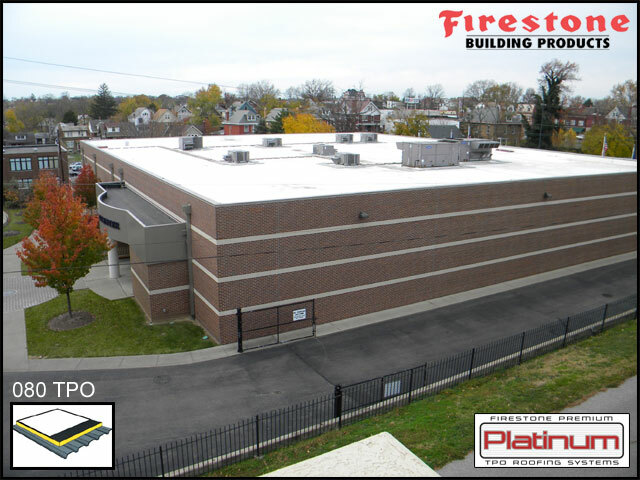 Fully-adhered .060 TPO Firestone roofing system over polyiso insulation selected by architect for their own building. 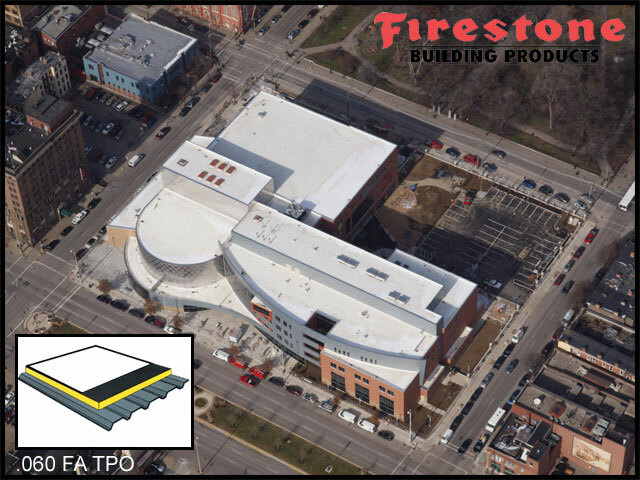 The Cincinnati Performing Arts project located in downtown Cincinnati, OH, showcases 060 Fully adhered TPO by Firestone Building Products and 7mm preweathered blue gray flat lock RHEINZINK panels by Firestone Metal Products. 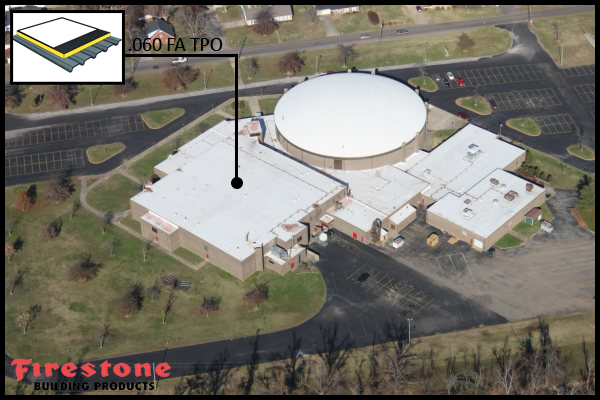 Mayfield High School, located in Mayfield, KY, was a complete tear-off of the existing roofing system and a new Fully Adhered .060 TPO roof was installed over mechanically attached 1.5" ISO for a 15 year Red-Shield Warranty. 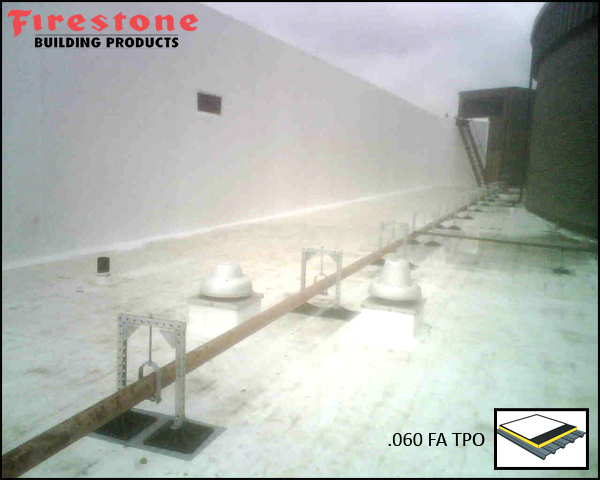 ISOGARD HD was implemented on the high wall flashing for a smooth surface adhesion of the TPO membrane. 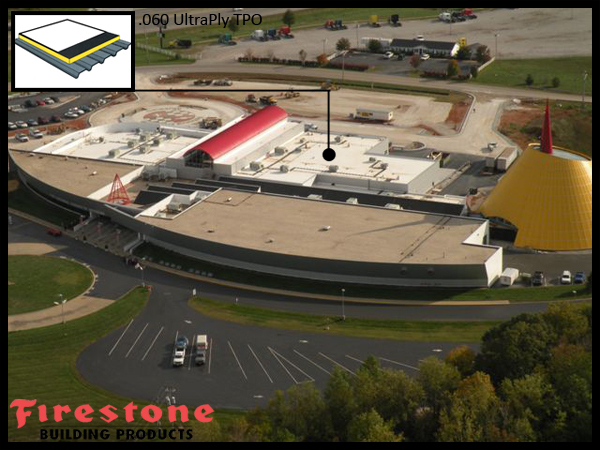 National Corvette Museum, located in Bowling Green, KY, using fully adhered .060 UltraPly TPO system over Tapered ISO insulation. 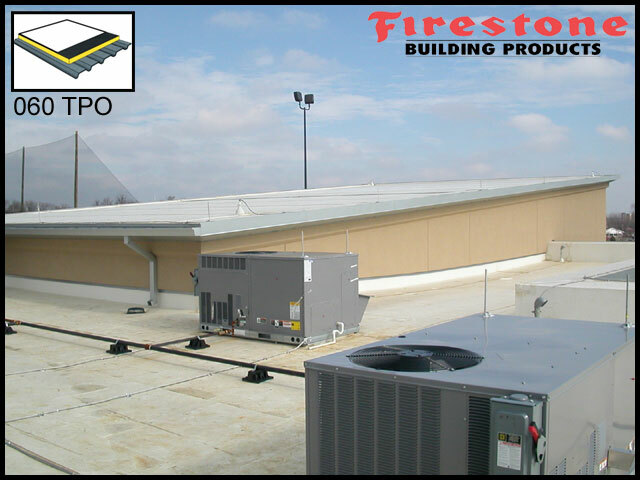 It is important to note that the building owner of this project is enjoying the peace of mind associated with a single-source warranty by one manufacturer and contractor on both the low-slope and metal roofing. 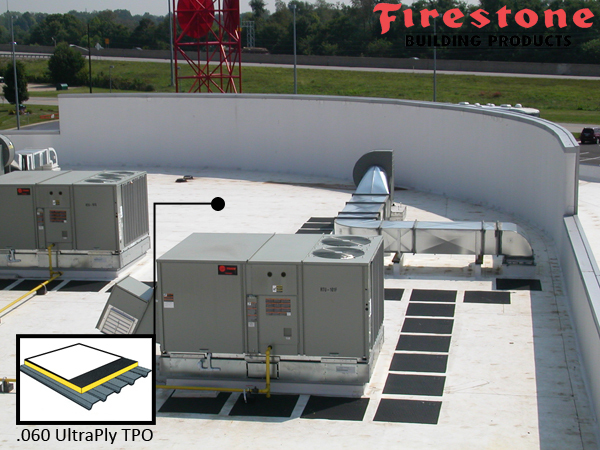 This warranty is a low-cost, high-performing solution with a No-Monetary-Limit for the next 20 years!